The 28-page member magazine includes explanations of the exchange process, as well as destination articles, competitions, special offers and features of DAE’s award-winning exchange platform. 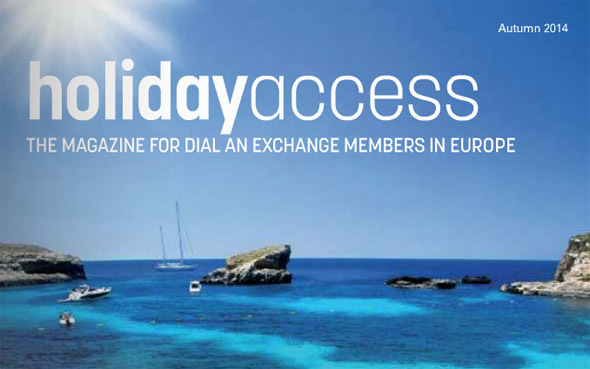 “DAE’s Holiday Access magazine is another way we are enhancing membership with DAE – by providing our members and other timeshare owners with information to understand how exchange can work for them,” said Managing Director of DAE Europe, Oliver Green. The Autumn 2014 edition of Holiday Access will be distributed to DAE members in Europe throughout October. Printed versions of the magazine are also available to DAE’s partner resorts and trading partners.